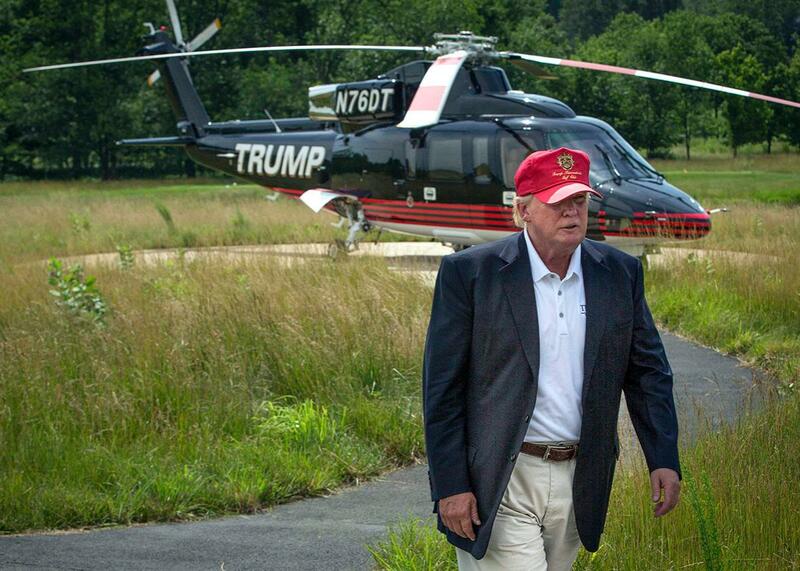 Trump helicopter rides: Iowa state fair officials say Donald Trump can't give helicopter rides to kids on fairgrounds. Donald Trump wants the children of Iowa to experience the greatest helicopter in the history of the United States. There’s not a lot right now that can put the brakes on Donald Trump, but he has apparently been thwarted in his latest quest to bigfoot the Republican primary by the bosses of the Iowa State Fair. The British tabloid the Daily Mail published an interview with Trump Thursday in which the candidate talked excitedly about Iowa’s “World’s Fair,” which gets underway in early August, and where Trump was planning on bringing his 12-passenger Sikorsky helicopter to entertain the kids and prevent any attention from accidentally being paid to any of his 2016 rivals. And so many Republican primary voters. With children. “You know, young kids. Yeah!” Trump said, sounding like a kid who’s just built his first pinewood derby car. Sadly for Trump, and the many cable television producers looking forward to video of him being mobbed by hordes of helicopter-crazed children, state fair officials say a Trump touchdown “will not be happening” at the fair. “Trump did not ask for permission to do so, nor would he be granted permission if he does indeed seek it,” according to the Des Moines Register. Trump could still find a way to land somewhere near the fairgrounds, but it might be better to deploy this particular stunt at a different event anyhow. Maybe Trump hasn’t spent much time on the ground at the Iowa State Fair, where outrageous, borderline-dangerous foodstuffs are an indispensible part of its storied culture. Does he really want to use a $7 milllion chopper full of cream-colored Italian leather and gold-plated seatbelt buckles to take 10 children who’ve been stuffed with Deep Fried Nacho Balls and Ultimate Bacon Brisket Bombs, then baked all day in the midwestern sun, on their first helicopter ride?